I captured Miii being cuddly. 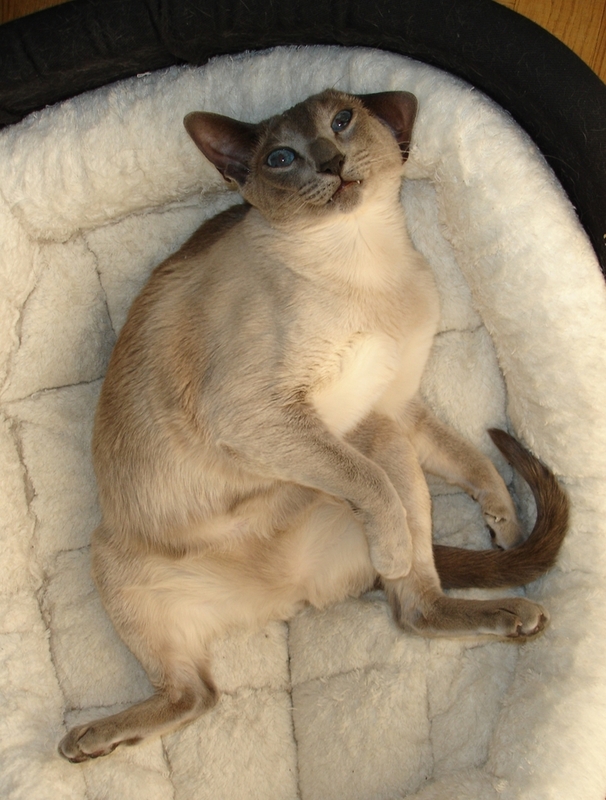 She is a big Siamese, but she is not fat. I cannot believe how chubby Miii looks when she lies on her back! She looks like a pillow. The most charming pillow ever! Miii has longer and thicker fur now, since it is winter. 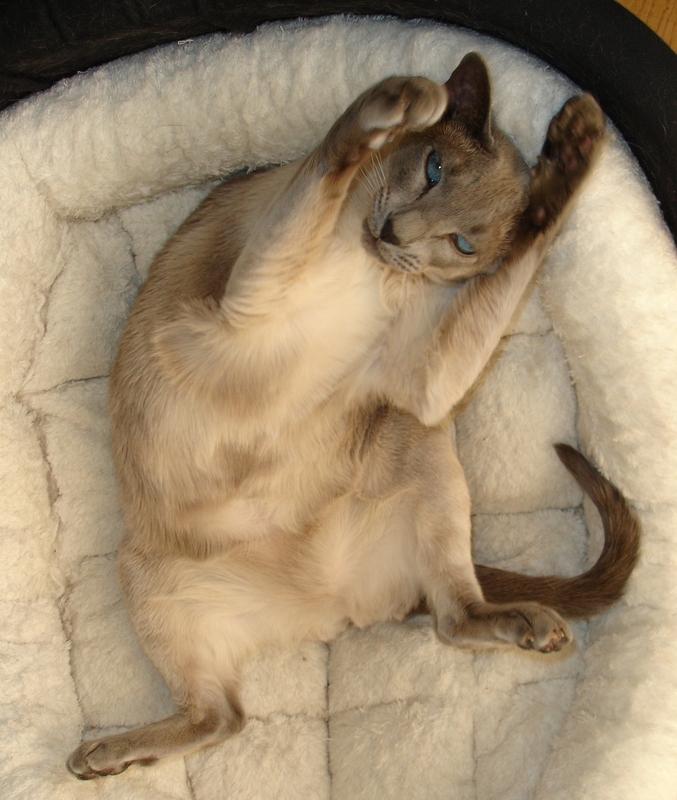 Siamese cats do not shed much at all. 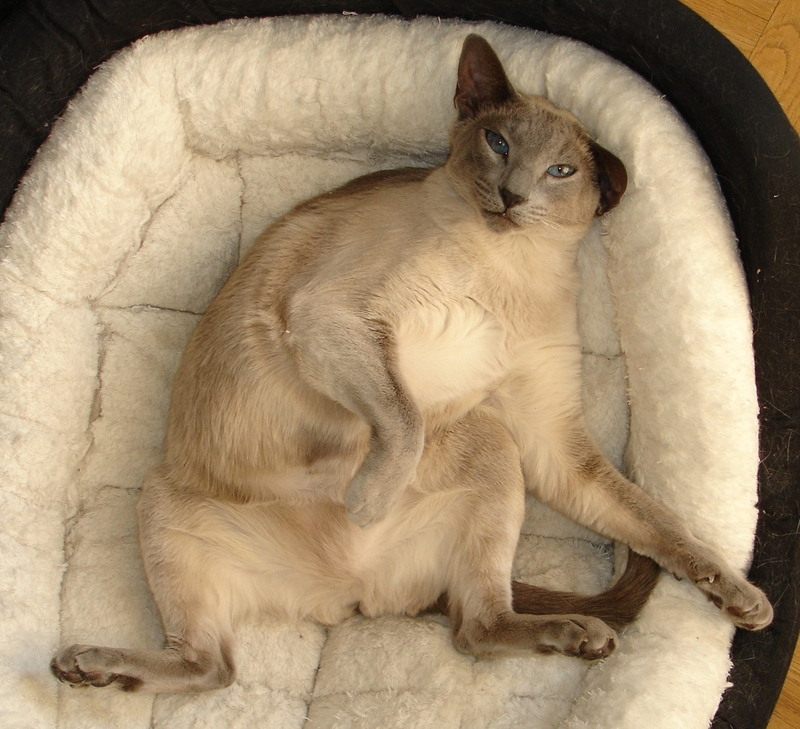 Maven sheds ten times more than all four Siamese together. I warmly recommend Furminator (Swedish link: our Furminator I bought here, maybe there is a cheeper one somewhere), that helped us a lot with keeping the most of Maven hair from our furniture and clothes. Siamese like to be brushed with Furminator as well, but there is almost no hair to get from them, only a little bit during few weeks twice a year, when they change between winter and summer fur. Oh she is SUCH a show off !! lol!!! A beautiful one though!!! As Saffy was using the Christmas tree as her personal indoor training gym – we had to keep her out of the lounge and in the kitchen – which meant she got bored … and ATE a lot .. so has got a bit chubby right now! I am sure she will slim back down shortly when the days warm up though!! 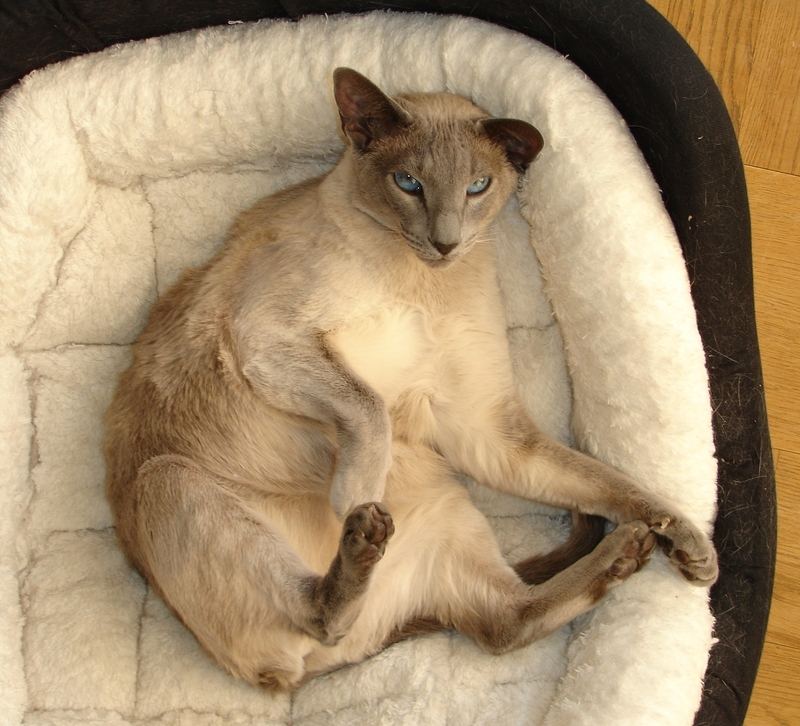 I didn’t realise that Siamese don’t shed much .. I had noticed that Saffy didn’t seem to shed .. but just thought is was because she was young. Or that I couldn’t see her fur .. for the amount of WHITE fur all over the whole of our lounge’s wooden floor left by our big, daft, white dog Bracken .. who sheds all year round! This Furminator thing looks good . . but it seems a bit expensive right now! I will have to save up for one !!! Thanks for the photos – I so love seeing them ! There is Furminator for dogs on Amazon.co.uk also: here. They have different sizes. Jocke’s aunt has one for dogs, she is very happy with it. It is expensive, but we had ours for cats for 4 or 5 years and it is still sharp and works well on Maven. 🙂 All I had before just sit in one box and I never used them again.